The history of art is anything but steady. From the iconoclasts of Medieval Europe to the unhinged avant-gardes of the Great War, few conventions have gone untested. The female figure is arguably the only uninterrupted study in art history’s canon. Diversified in representation throughout the ages, we see her everywhere. In Sandro Botticelli’s “Birth of Venus,” she wistfully reminds us to dream, while in Leonardo’s da Vinci’s “Mona Lisa” her smile beguiles us; in Willem de Kooning’s “Woman” series she threatens us, whereas in Norman Rockwell’s guise she warmly comforts us. But who is she really? Is she all of these things? Is she none of these things? To Park West Gallery artist Linda Le Kinff, she evolves past simple description. “Milumed Alex” (2013), Linda Le Kinff. 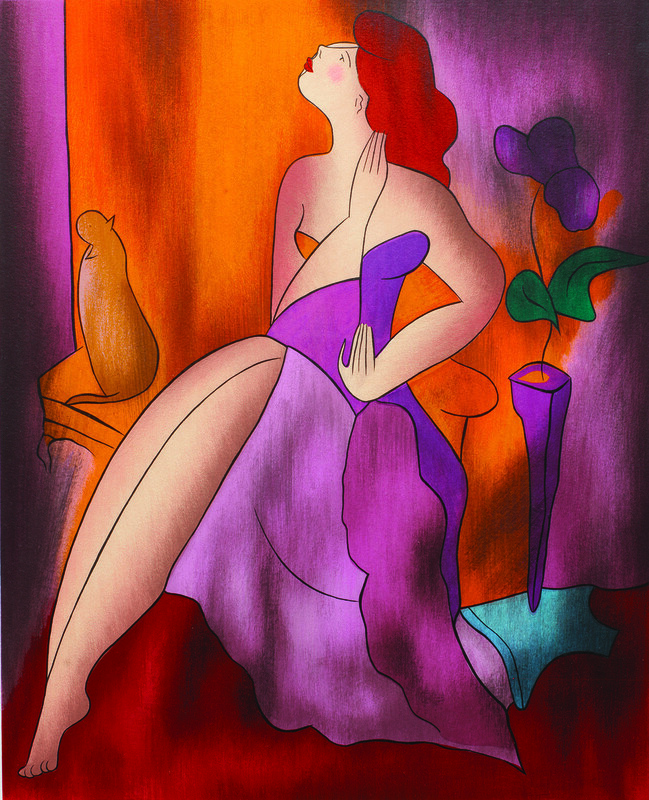 In Le Kinff’s oeuvre, a woman can be indescribably alone, staring out between curtains, waiting for the phone to sound. In other instances, she meditates in the same silence, solely present and powerful. 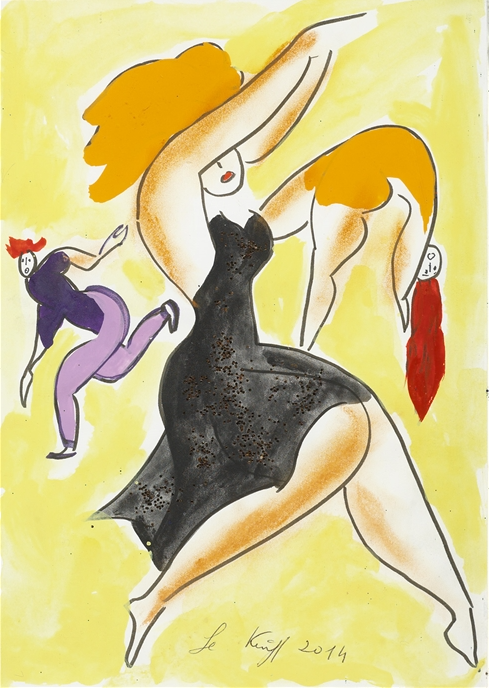 In just a glimpse, Le Kinff’s woman moves, and like the acrobats centered within the French artist’s work, she daringly resonates with her audience. “Circus of Moscow Come Back” (2014), Linda Le Kinff. Le Kinff is a master of bringing a woman’s indecipherable character to life. But before becoming a master, the renowned figurative artist herself was a student, and at that, a student of the world. Born in Paris in 1949 of French and Brazilian descent, Le Kinff began her career as a painter at the age of 20. During this time, the artist’s creative passions thundered alongside her eagerness to see the world where she spent much of the 1970s in India, Tibet, Mexico and Italy. Residing in Italy for 12 years, Le Kinff prospered alongside the grand visions of the Renaissance and she supplemented her arts education with the study of tempura, gold leaf, engraving, collage and airbrush painting. Le Kinff’s continued travels throughout Japan, Scandinavia and the United States prompted the artist to observe difference and subtle similarity. This observation further prompted Le Kinff to align the sentiment of a scene with a unique color palette. 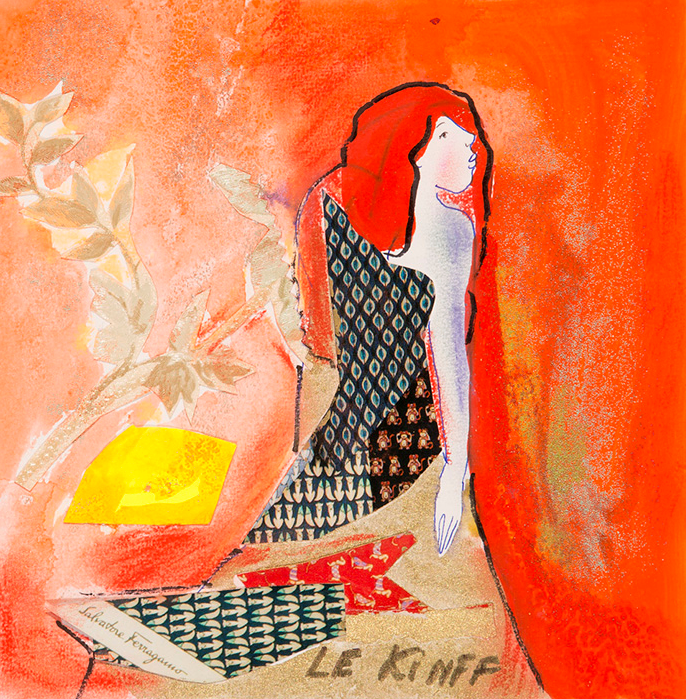 “Cheveux au Vent” (2013), Linda Le Kinff. 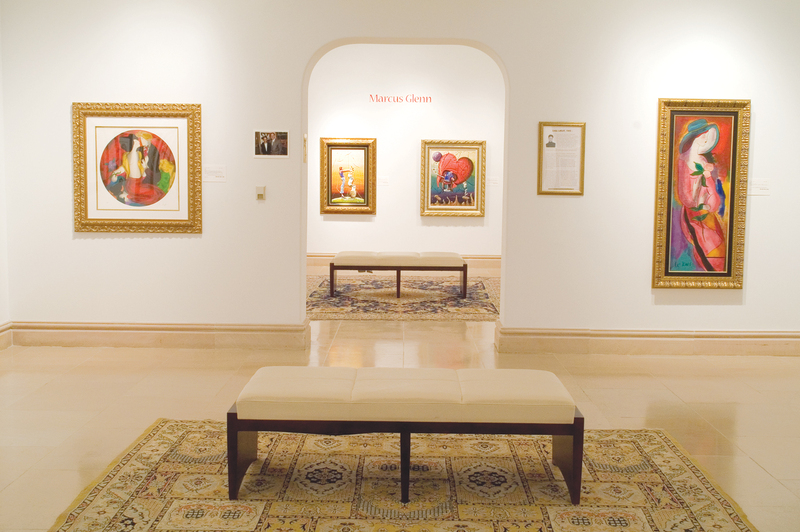 As Le Kinff stationed herself on the edge of comfort in her worldly practice, she struggled to dedicate herself to a single artistic medium or technique. Her continued struggle to identify as one absolute artist informs the subject of her work – the struggle to identify one absolute woman. 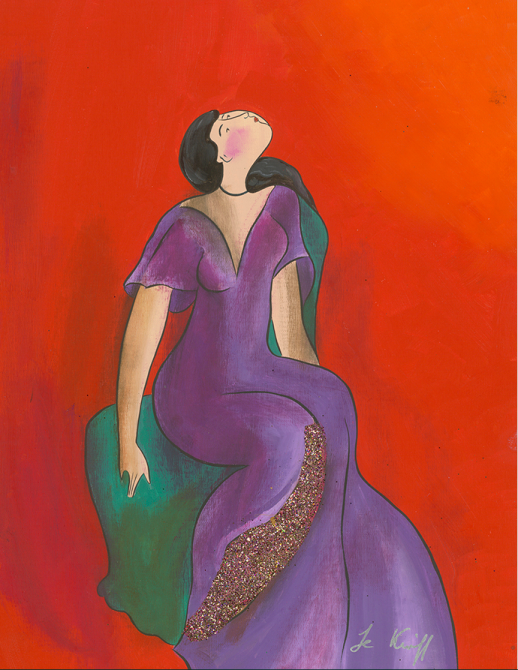 “Violetta au Sofa” (2015), Linda Le Kinff. Bright, yet solemn; languid, yet composed; and touched with classic elegance, Le Kinff’s women lie outside historical time, and instead carry themselves into contemporaneity with their forward and confident dispositions. Informed by and in response to art history’s women, Le Kinff enlists centuries of discourse centered on the female figure and enters her own interpretation – that of every woman.